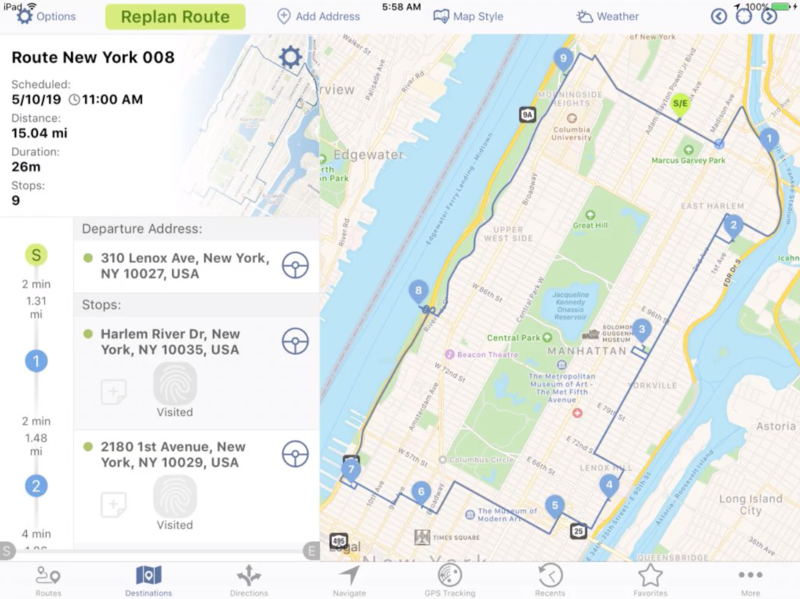 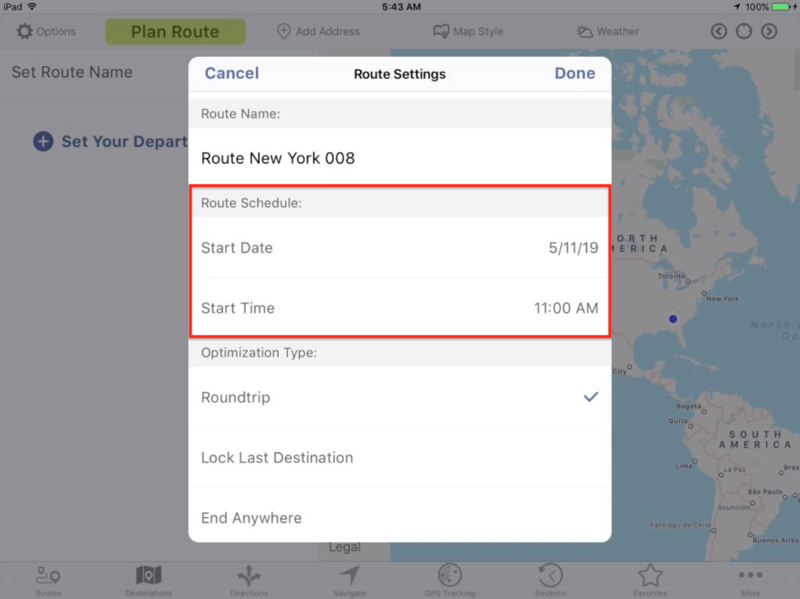 Route4Me’s iPad App is the best mobile route planner on the market that uses advanced algorithms for planning and optimizing your routes with the most time-efficient and cost-effective results. Route4Me takes care of all calculations and computing processes, delivering user-friendly tools for managing your routes on the go, providing more flexibility for your business activities. 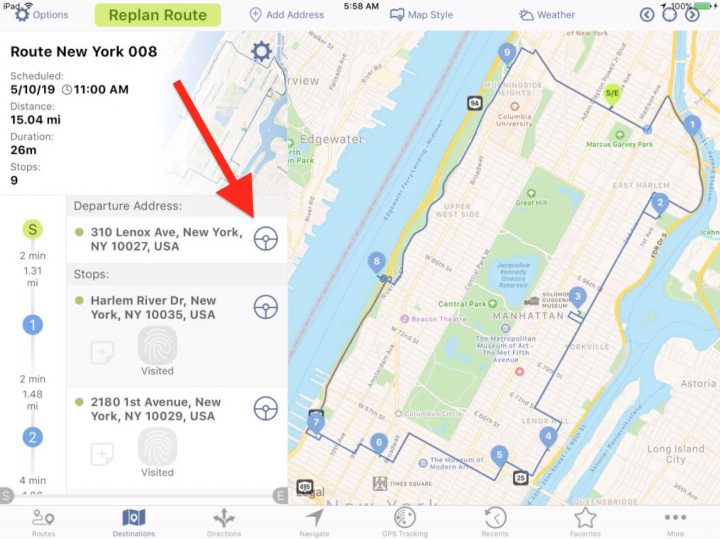 You can learn how to download and install the app on your iPad here. 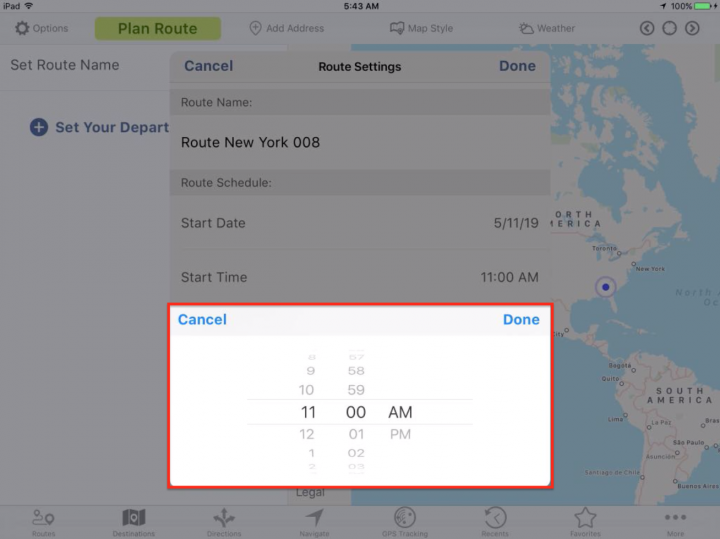 To plan a new route on your iPad, first, go to “Routes” from the navigation menu at the bottom of the screen. 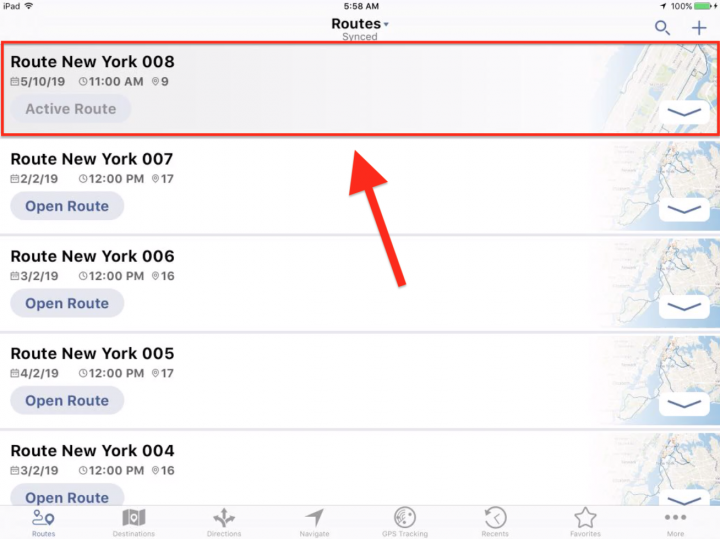 Then, tap on the plus icon in the top right corner of the “Routes” screen. 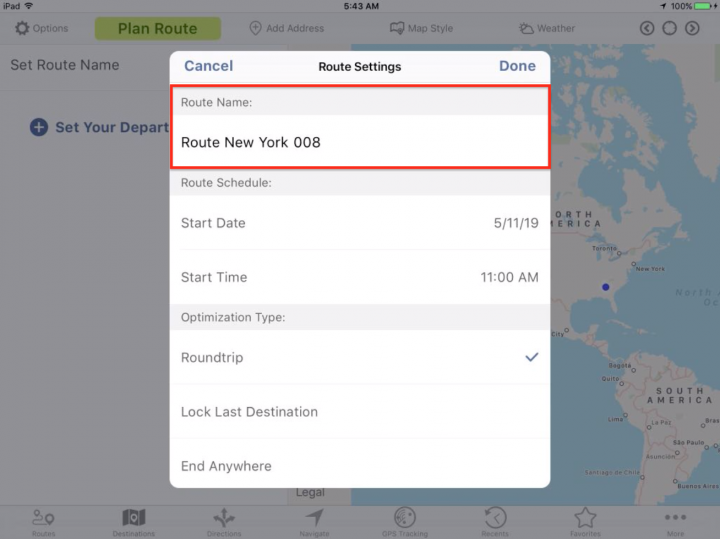 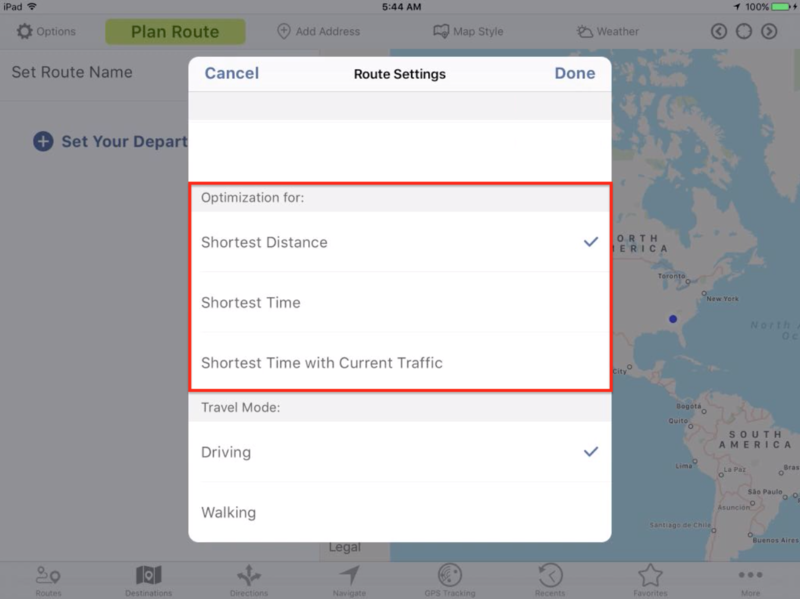 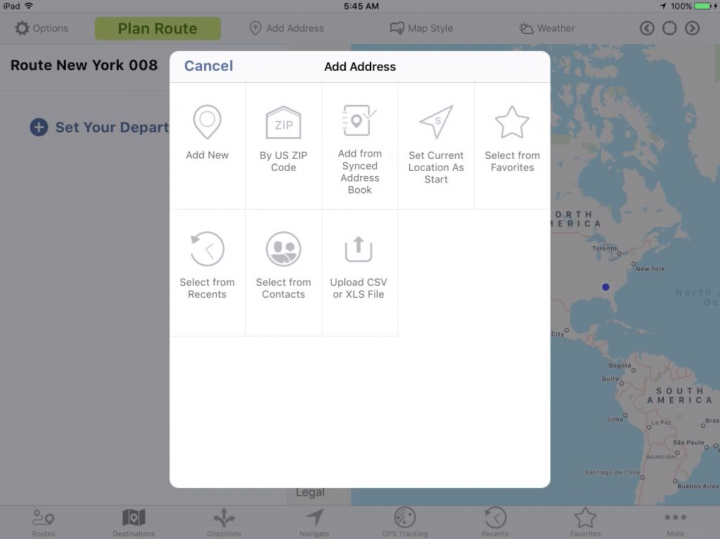 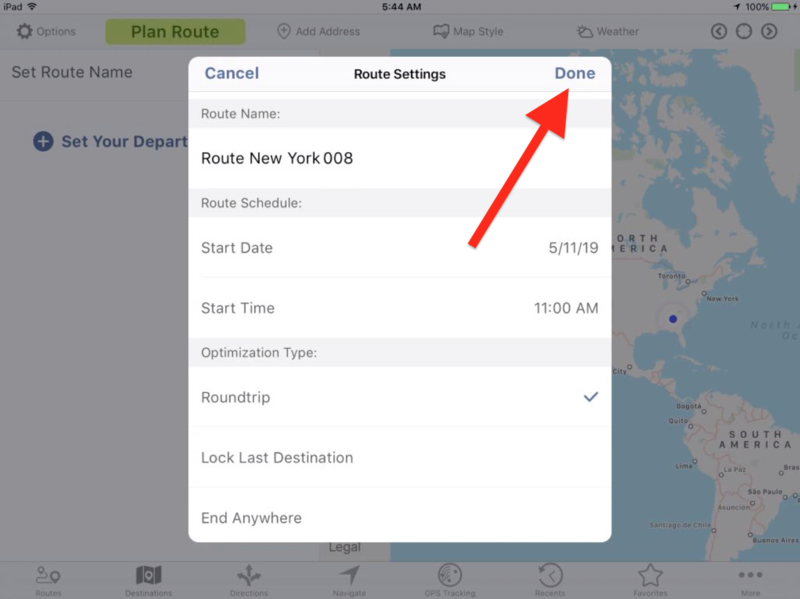 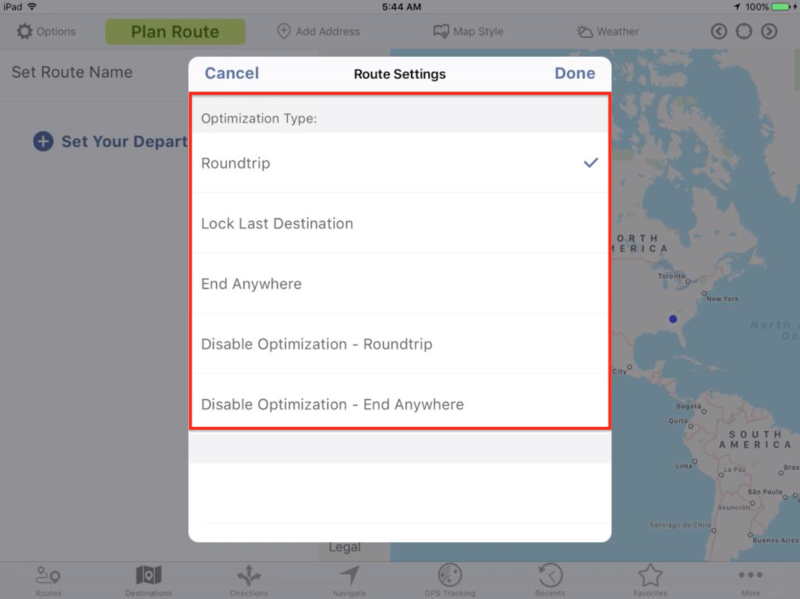 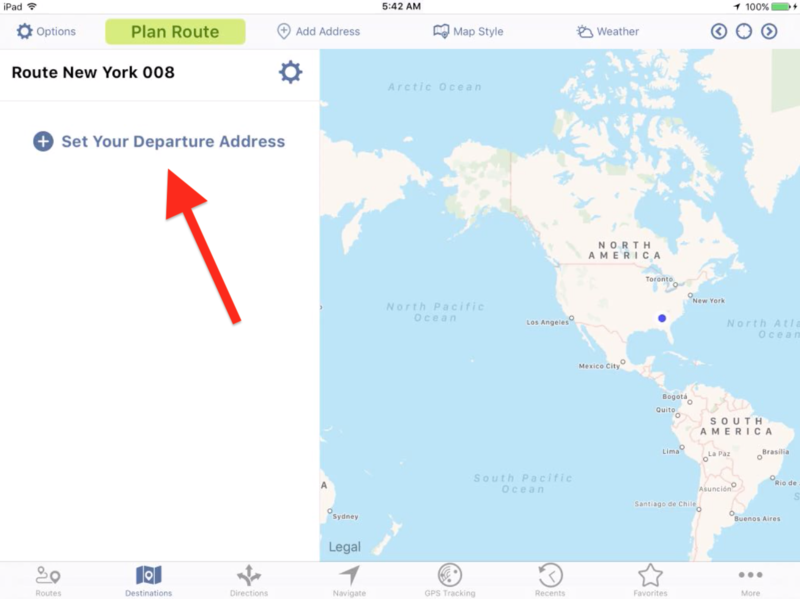 Route4Me’s iPad App provides multiple options that allow you to easily upload addresses for planning and optimizing your routes. 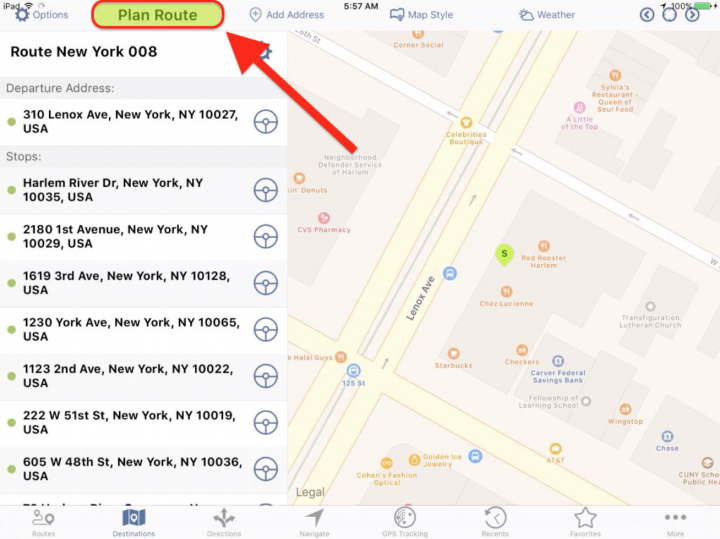 You can add addresses manually, from your Route4Me Address Book, contacts on your iPad, upload a spreadsheet, etc. 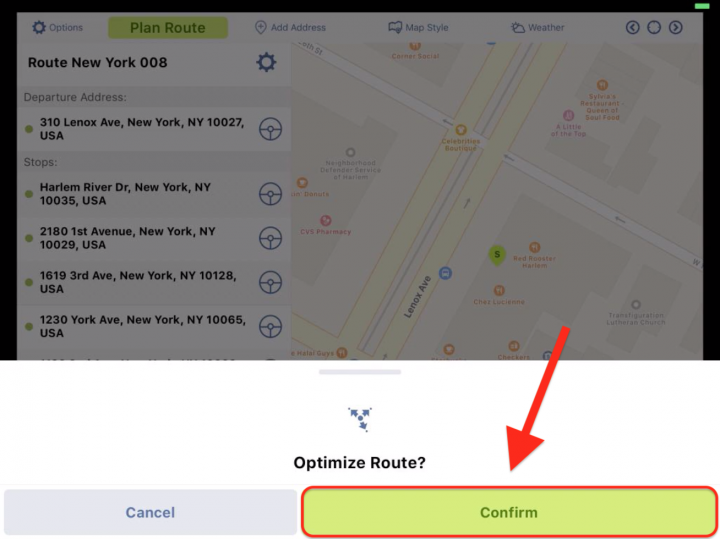 Select one of the suggested variants and follow further instructions respectively. Once you added addresses to the route, tap “Plan Route” in the top left corner of the screen. Finally, tap “Confirm” when prompted to optimize the route and get the most efficient sequence of stops. Once the route is planned, you can adjust its settings respectively. 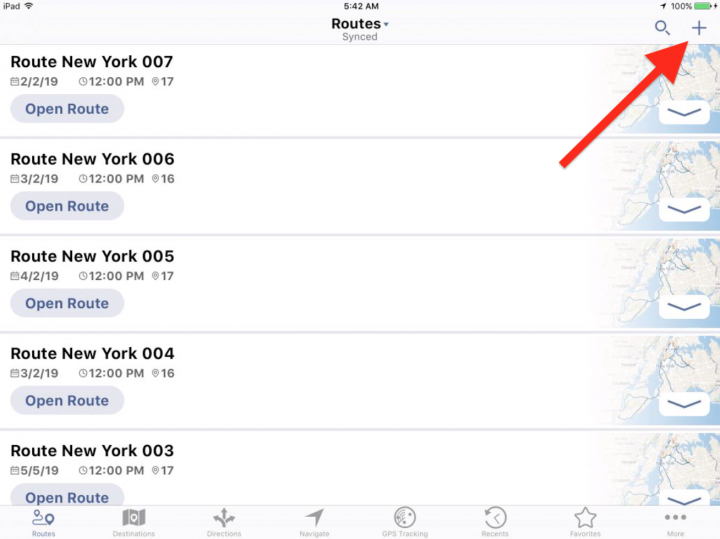 The planned and optimized route is displayed in your Routes List on the “Routes” screen. To start navigating the planned route, tap on the steering wheel icon next to the stop from which you want to start.